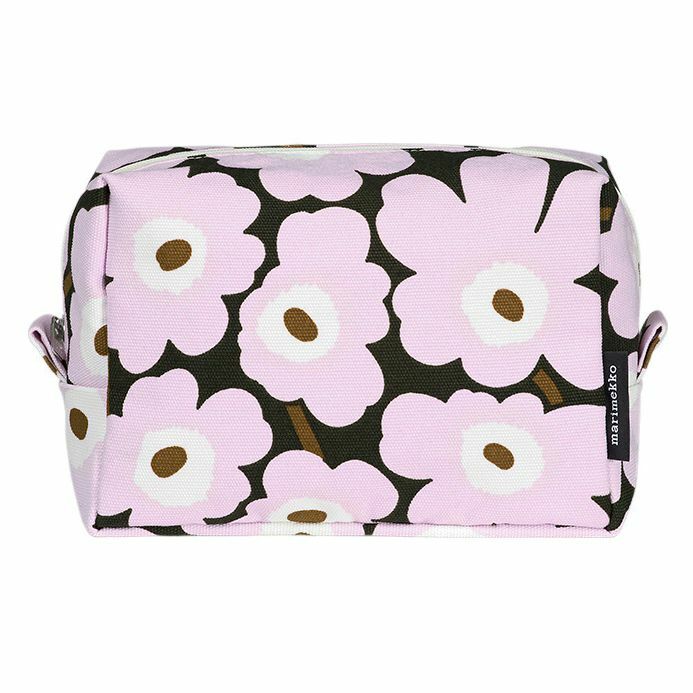 More about Marimekko Lilac / Brown Vilja Cosmetic Bag Get organized in the new year with the Marimekko Vilja cosmetic bag. The cotton exterior is printed with Maija Isola's iconic Unikko poppies in fresh spring hues of lilac, white, and brown. The background color is a dark charcoal with hints of green; it's symbolic of the life sprouting from the bout of darkness during winter's visit. 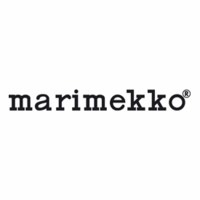 Inside the bag, a white polyamide interior is easily wiped clean in case of spills. 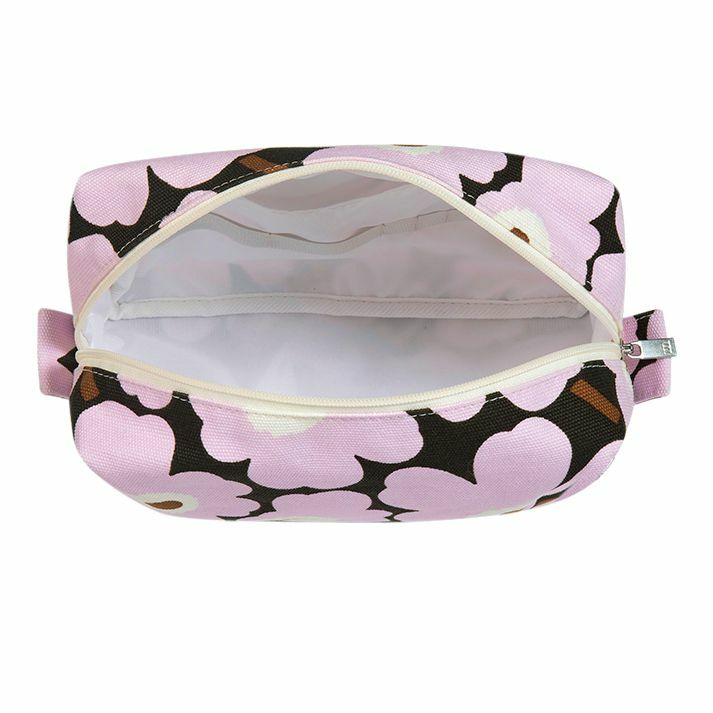 Two roomy side pockets, one with brush holding straps, allows you to organize all the essentials for stress-free mornings and easy travels. MATERIAL: 100% Cotton. Lining is 100% Polyamide.